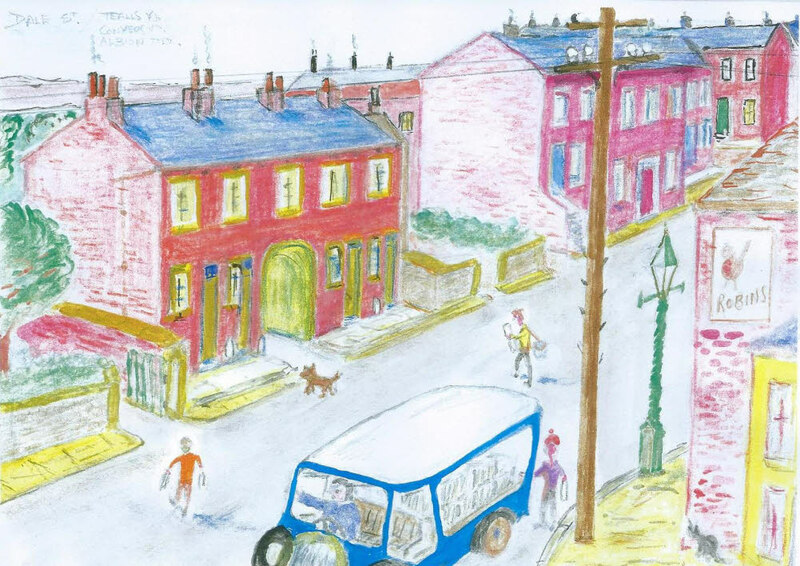 This sketch is of an early morning scene, close to the junction of the Wakefield to Dewsbury Road and Dale Street at Flushdyke. It pictures a young Douglas Brammer delivering his newspapers whilst the milkman and the milk delivery lad go about their business. In the left background are the dwellings known as Teall’s Yard (there was another Teall’s Yard at Teall Street, South Ossett) , Conyer’s Yard and, at rear left, Albion Terrace. Every detail is acaptured including the old gas light at bottom right.